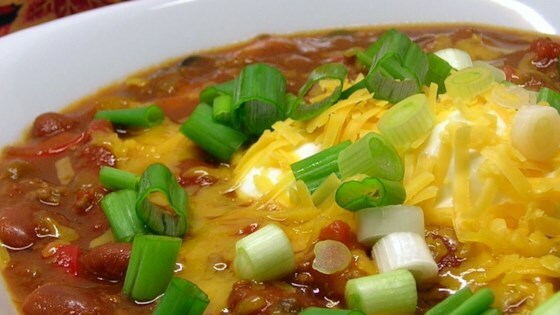 "The pumpkin is a great surprise in this chili! It makes the whole house smell good and tastes great! Garnish with cheese and jalapenos if desired. This recipe can be made on stovetop too. Cooking time would be reduced to 30-45 minutes for chili to simmer."